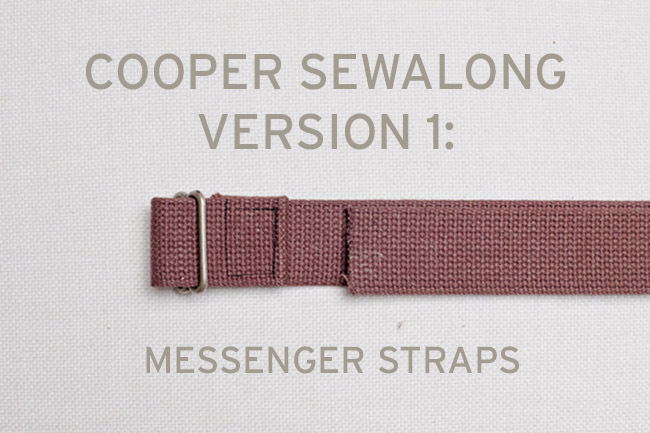 If you’re working on the messenger bag version of Cooper with us (version 1), we’ve just got a quick walk-through today on making your messenger strap. 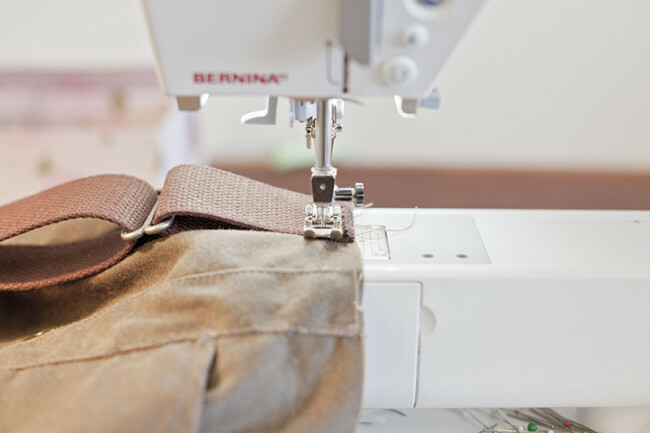 For the other versions (backpack and satchel), you can skip this post and we’ll finish up the bag by sewing the lining on Friday! 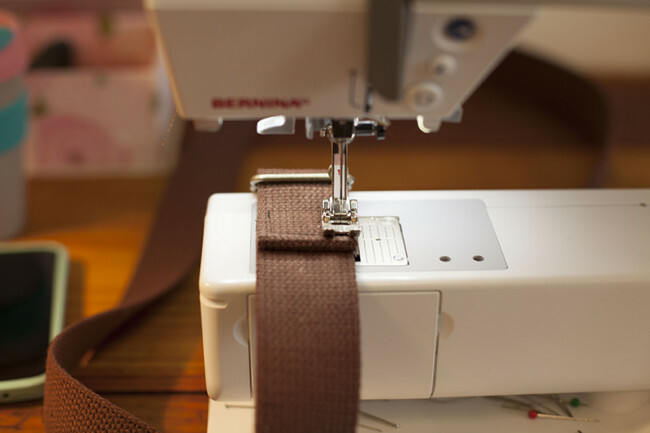 Though you can also add a messenger strap to either of the other versions if you want to get creative. 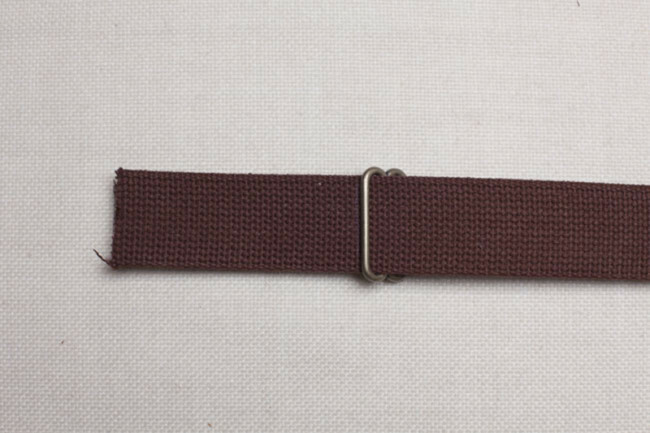 I like the idea of a detachable strap, personally. 1. 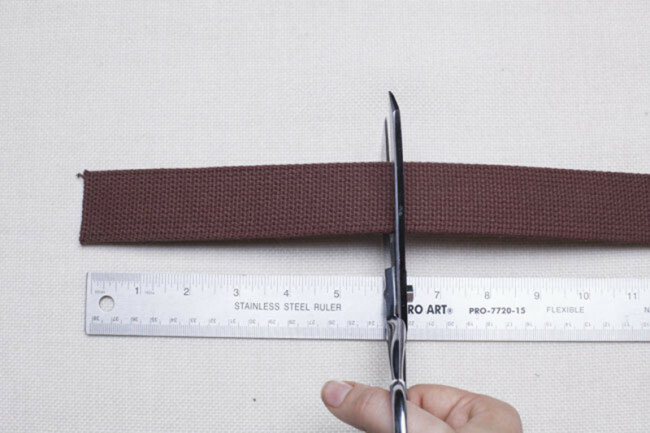 Cut a 56” long piece of cotton webbing. 2. Slip one end of the webbing over the middle bar of slide 1, pulling 3 1/2” of the webbing through. 3. Turn strap and slide 1 over. 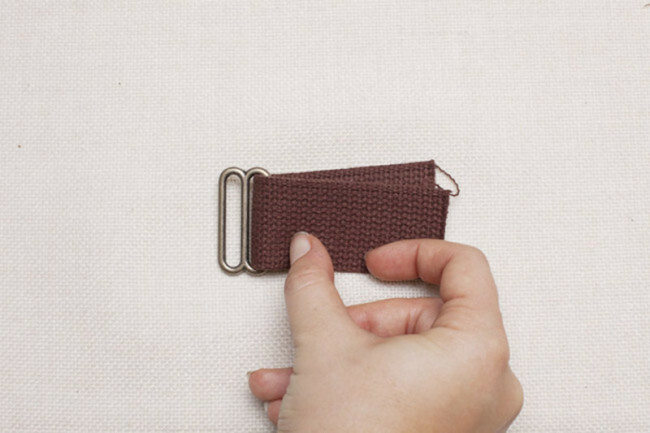 Fold the first inch of the 3 1/2” length over as shown. Press. 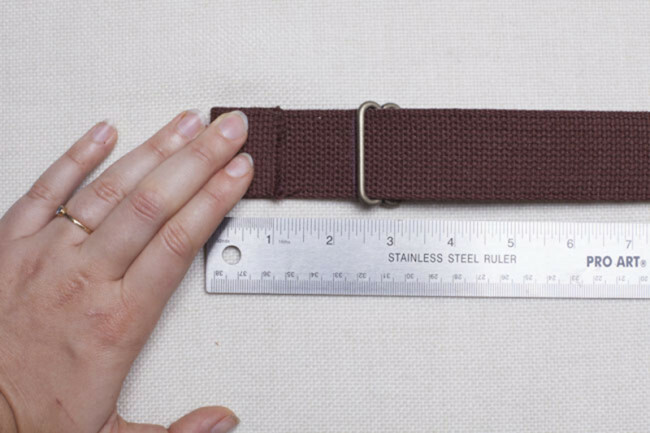 Tip: Mark at 3 1/2” in chalk or pen on both sides of the webbing. 4. 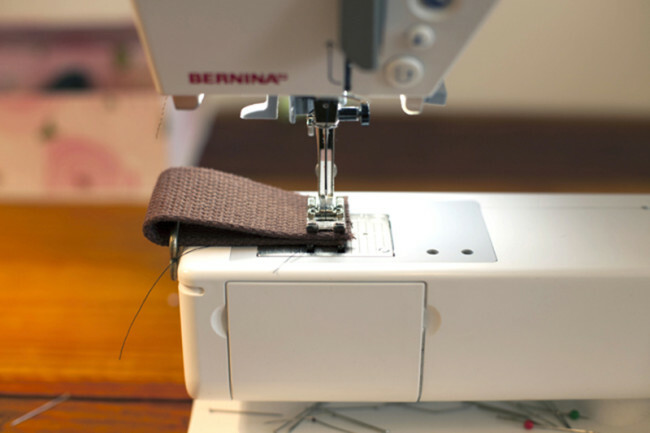 Take the folded end and run it over the middle bar, and under the outer bar, of slide 1. 5. 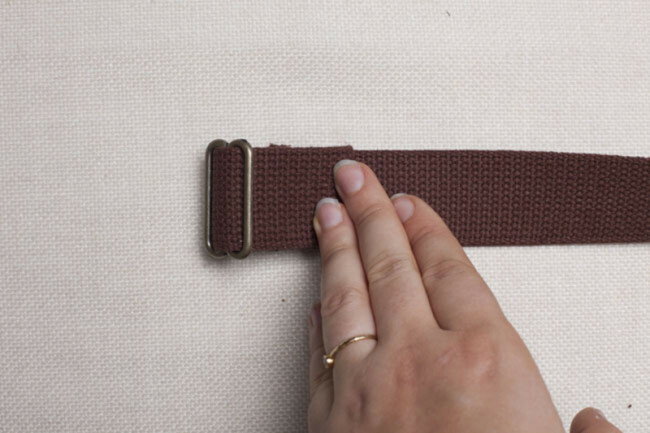 Secure the webbing by stitching a 1” wide rectangle at the folded edge through all layers. 6. 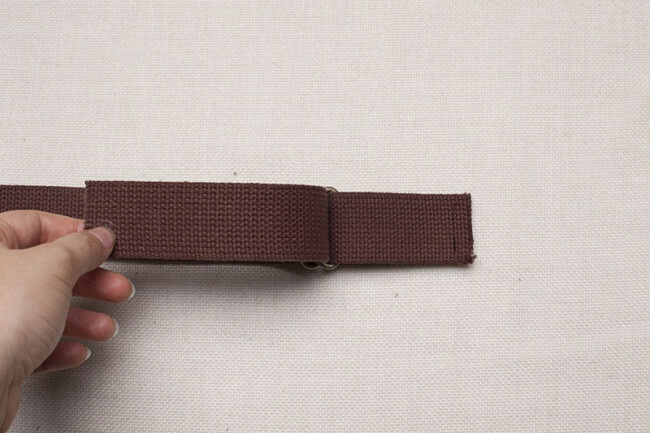 Cut a 6” long piece of cotton webbing. 7. Slip the webbing around one of the outer bars of slide 2, aligning the raw edges of the webbing evenly. 8. Baste the ends of the webbing together. 9. 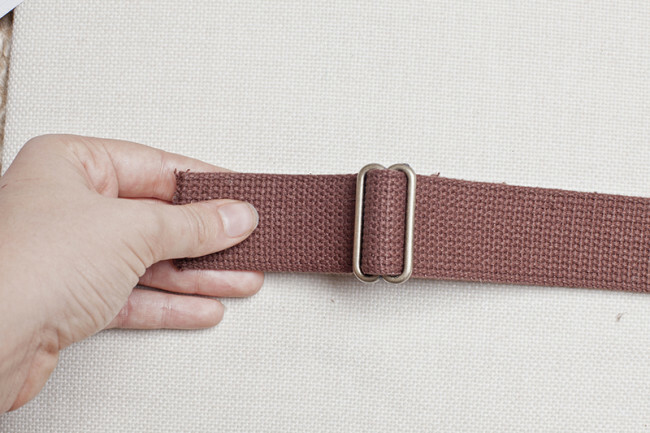 Lay both strap pieces completely flat in front of you. 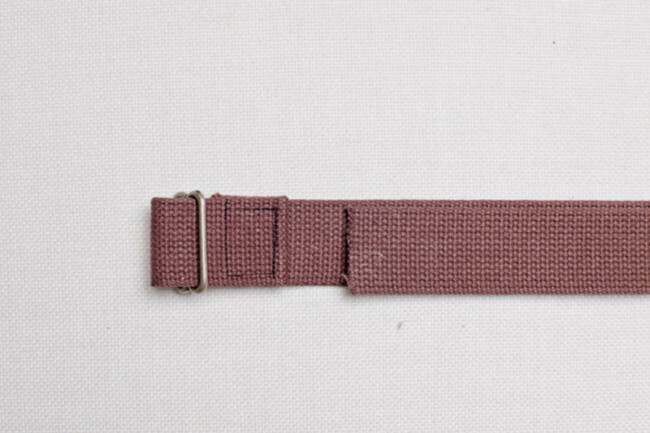 The folded edge of the longer webbing piece should be facing upward. 10. Slide the raw end of the longer webbing piece under the empty outer bar of slide 2. 11. Fold the raw edge back over itself, towards slide 1. 12. 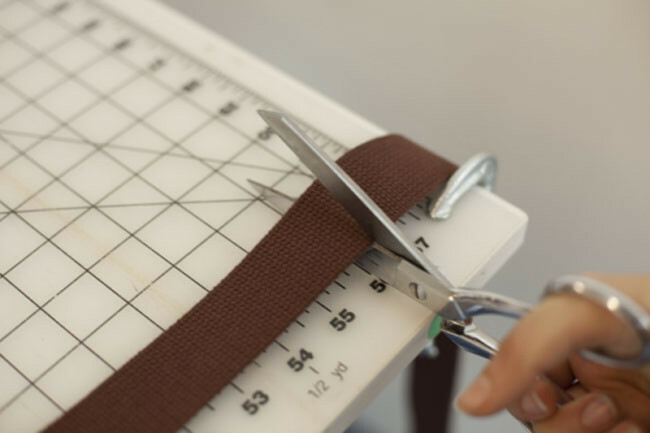 Slip the raw edge under the closest outer bar of slide 1, then over the middle bar and under the second outer bar. 1. 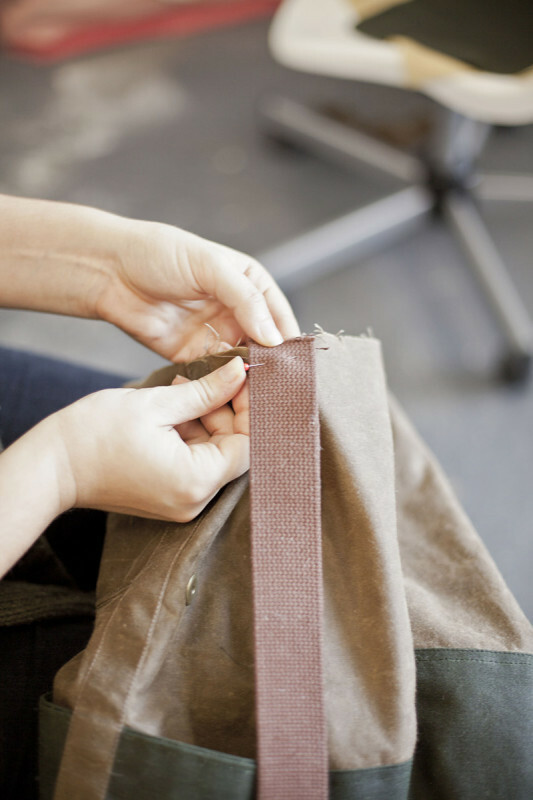 Pin the short end of the strap to the right-hand side of the bag exterior, centering it over the side seam. 2. 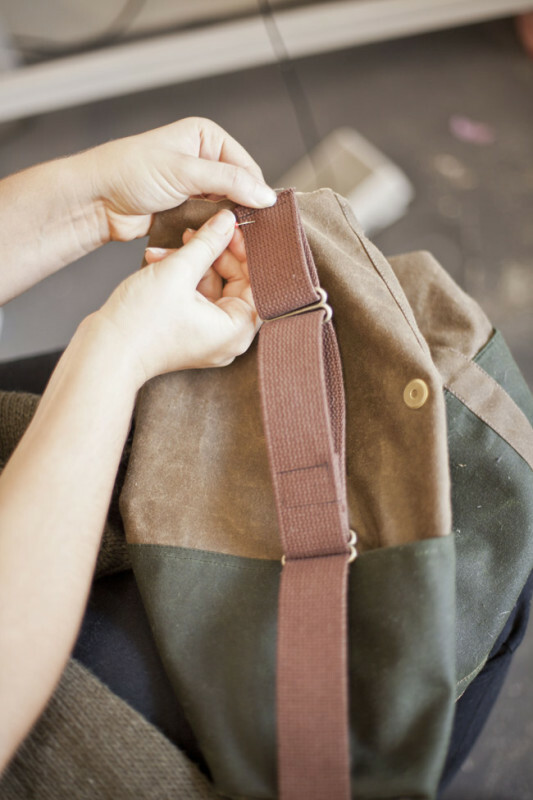 Being careful not to twist the strap, pin the long end of the strap to the left-hand side of the bag exterior. 3. Baste the strap in place at both ends. The messenger strap is done! We’ll return on Friday for the final step: putting in the lining!